I recently bought a few plants at an estate sale - a great way to get big, old plants for a bargain. They were gorgeous, healthy plants, but they came in plastic pots. Yuck. I need to find planters to use for them. I like to use the traditional terra cotta, but it's planters can be a fun, inexpensive way to introduce some texture and whimsy to your home. I love anything from Terrain. 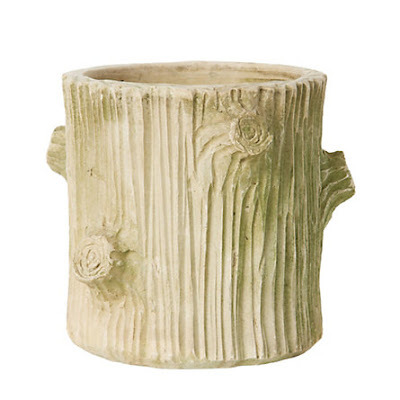 This tree trunk planter is perfect for adding a little quark to your home. It would look great in a sun room. Ikea Fridfull Plant Pot. $4.99. I like the chunky weave. 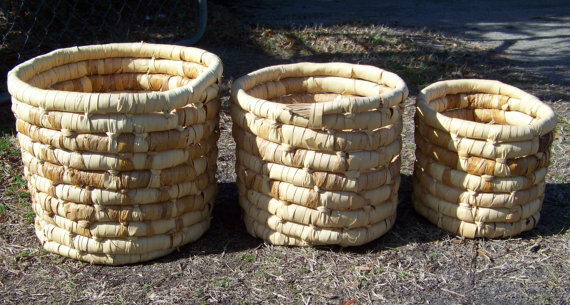 Amazing Bamboo baskets I swiped from Etsy. Gorgeous, aren't they? I plan to use a couple for pots, but they would be great for toys, towels, anything! Vintage 1940's Bunny planter. 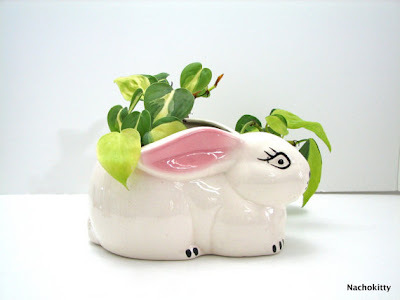 It would be adorable for Easter flowers. My little girl would love this!